When it comes to food, we’re very lucky because we have access to some of the best local produce in the world and we live in such a multicultural society. When you combine the two, you get great authentic food. One example is the RnB Cafe which is located out in the southern suburbs. What started off as a snack bar, later became a haven for Korean and Japanese cuisine. For lunch, there are a selection of noodles, Korean soups, garden salads and rice noodle salads. In the evenings, the offerings are more extensive with the serving sizes more substantial. We started off with the Pork Balls which is served with a lime chilli sauce and salad. The meatballs were juicy and well seasoned, and the meat was well refined. The outside was slightly battered giving it that extra crispiness. This worked well with the side of fresh salad. The Yangneyeom Chicken (Korean Fried Chicken) was incredibly addictive. 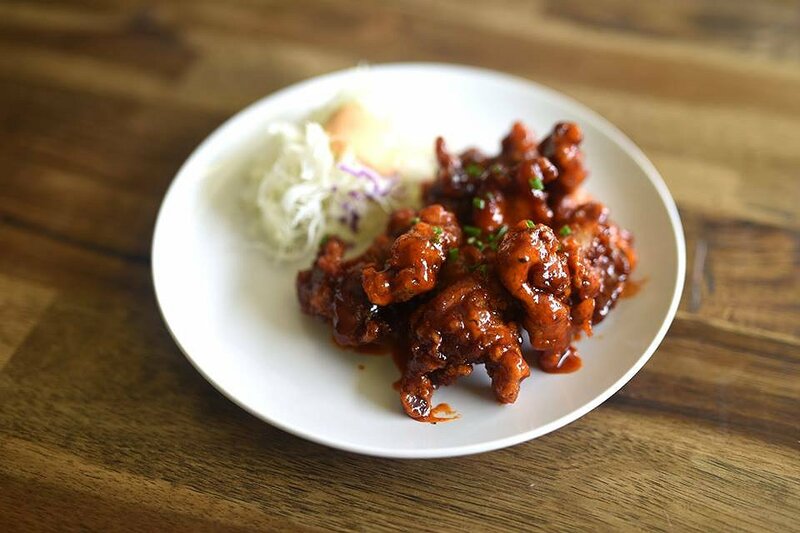 Well seasoned morsels of chicken are fried and then coated in a Korean style sweet and sour spicy sauce. The sauce is not overpowering which allows you to keep on eating. Everything tastes better when deep fried, and this is particularly so with the Deep Fried Cauliflower. 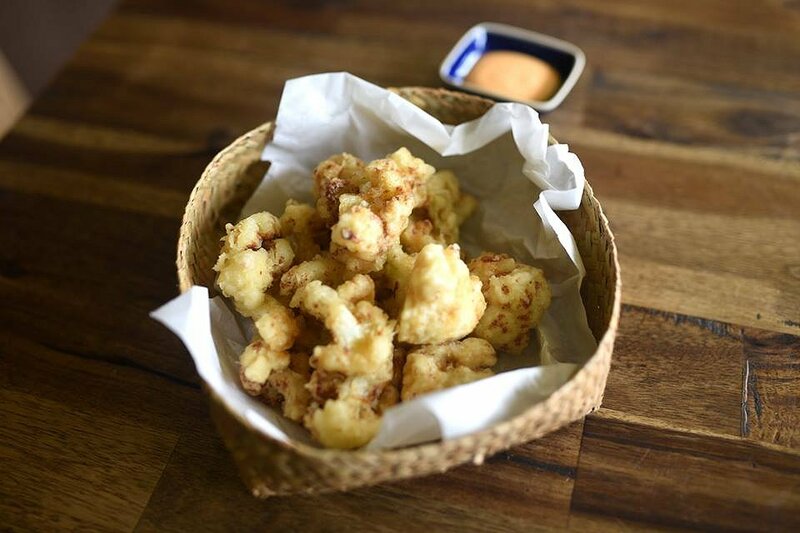 The cauliflower pieces were still crunchy and coated in a light, crispy batter. Combined with the spicy, mayo dipping sauce, the vegetarian dish was an absolute delight. 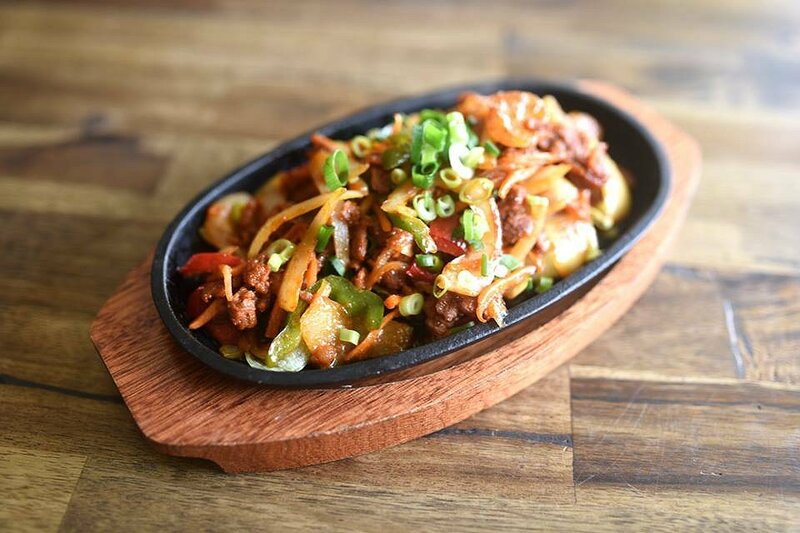 The Traditional Sizzling Jeyuk Pork (Spicy Pork) is mixed with vegetables and served on a hot plate. The thinly sliced pork was tender and succulent with the marinade well infused into the meat. The dish itself wasn’t overly spicy but very delicious. 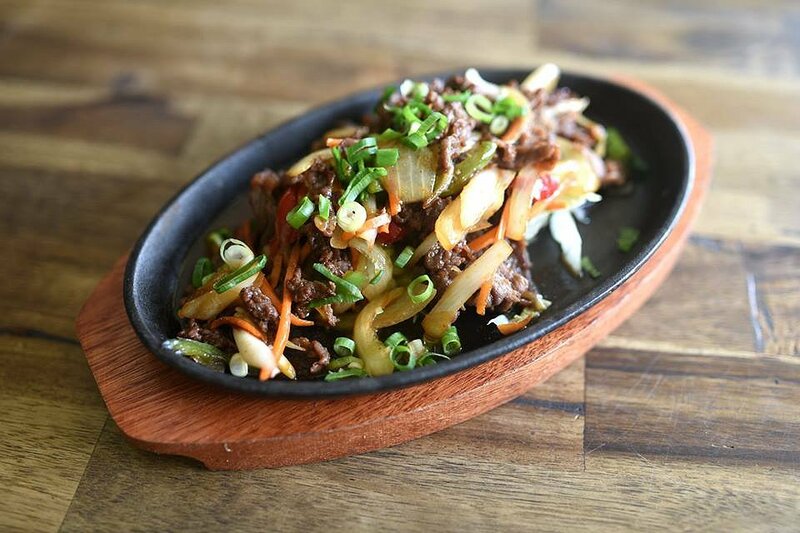 A dish that we have at every Korean eatery is the Bulgogi Beef. The marinated beef slices were lean and well seasoned with that subtle sweetness. The mixed vegetables added some crunchy texture to the dish. We were very impressed with the RnB Cafe. There’s so much choice here and the food is so delicious! The staff were really friendly and welcoming, and the service was fast and efficient. The average price of mains at dinner time is around $14 which represents good value for money. 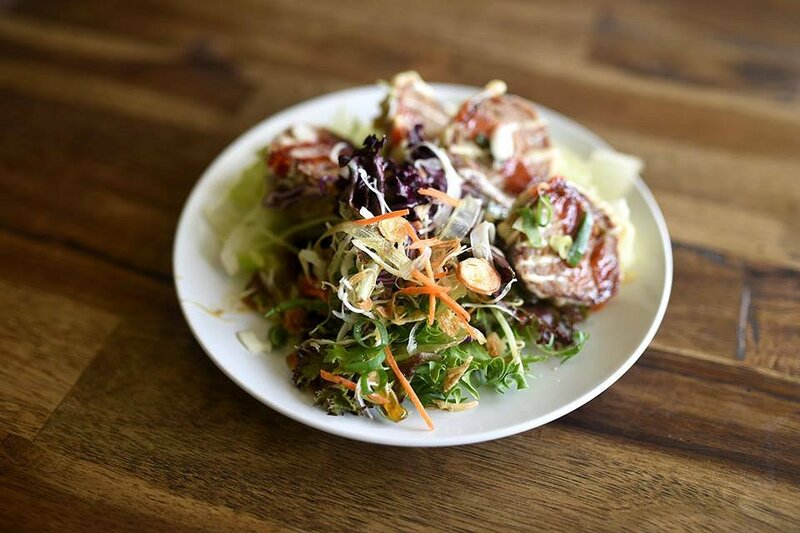 RnB Cafe is a hidden gem in the southern suburbs and we can’t wait for our next visit! RnB Cafe is open Tuesday to Sunday from 11am-2pm and 5pm-9pm.